Second Harvest served nearly 120 first-time families at our first direct-distribution Farmer’s Market in late July. There were about 40 other families served who were already in our system. 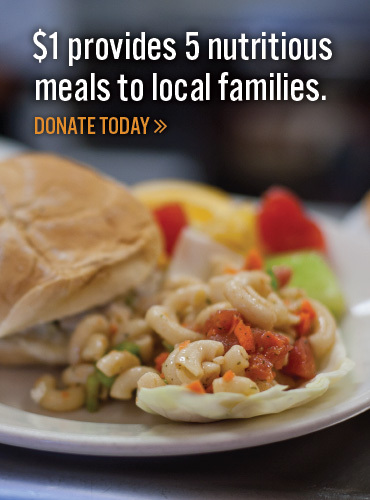 One of our goals is to serve people who live in underserved areas. The site for this first of four Farmer’s Markets is the parking lot of Lorain County Health & Dentistry at 1205 Broadway Ave., Lorain. Other dates include: August 19, September 30 and October 21. It is located in an area were the food insecurity rate is at 30.4%, meaning that about 3,887 people in just the immediate area alone does not know where their next meal is coming from. The location is also close to and easily accessible to the areas in Lorain where the poverty rate, food insecurity and unemployment rates are high. 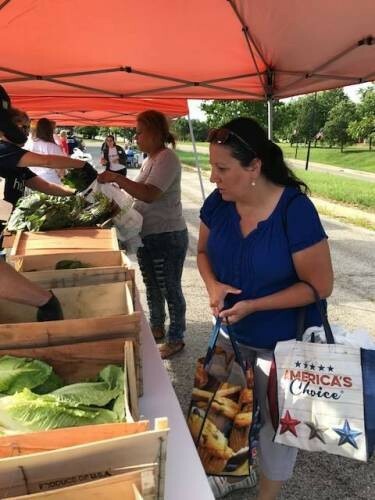 Our goal is to set up a Farmer’s Market distribution once per month for the four months of the growing season to offer fresh produce and nutrition education for low income families in Lorain. We estimate that as the Farmer’s Market season progresses, we could serve up to 400 families each time. This Farmer’s Market is being put on to help moderate to low-income families. Recipients must register so they will have to bring a photo ID and be income eligible. The Farmer's Market program is a proven, successful trend in the food banking community that utilizes a mobile distribution network in the manner of a traditional farmer's market. Second Harvest Food Bank is in our tenth year of running Farmer's Markets throughout our region. Second Harvest will be conducting this food distribution thanks to funding help from the City of Lorain Community Block Grant program. Our partners will provide help, too. Lorain County Health & Dentistry is providing the site and for the future Farmer’s Markets will offer health screenings. The United Way of Greater Lorain County will provide volunteers. Many of the populations who desperately need temporary food to feed their families do not live in an area served by a food pantry or do not feel comfortable using a traditional pantry. The Farmer's Market program serves by setting up temporary tables at locations throughout the Second Harvest Food Bank service area in partnership with Second Harvest agencies. Recipients register with a Second Harvest agency partner to qualify and then may select their produce from tables filled with locally grown fresh food and produce or may participate in drive-by pick-ups of pre-packed boxes of produce and recipes. A typical market will feature 8-12 different produce items including apples, green beans, beets, cabbage, cauliflower, cantaloupe, carrots, cucumbers, eggplant, greens (multiple varieties), leeks, lettuce, peaches, parsnips, pie pumpkins, radishes, squash (multiple varieties), sweet corn, onions, potatoes, turnips, watermelon and zucchini. These families had enough fresh, nutritious produce to last a week to 10 days afterwards. We have seen an increased number of seniors coming out for Farmer's Markets each year. Many seniors forgo trips to tradition food pantries and therefore go without due to negative stigmas. Senior citizens in particular, respond favorably to the Farmer’s Market program and we expect that our outreach to this demographic group will continue to increase. Many participants are new to the food bank program and often need help during a temporary financial crisis in their lives.